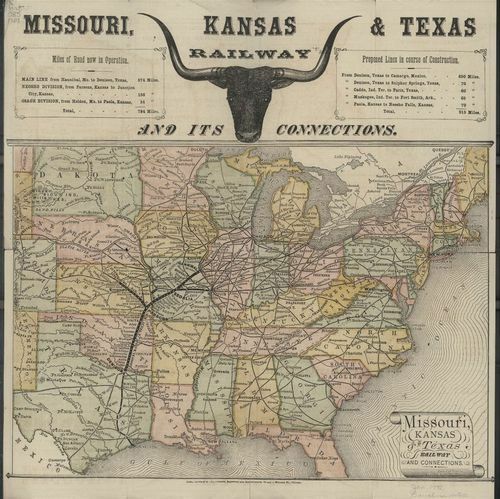 This map provides data for the total number of miles covered in the main line between Hannibal, Missouri, and Denison, Texas, the Neosho Divison, and the Osage Division. Additional information is included about proposed lines in Texas, Kansas, and Arkansas. There is some promotional material about passenger rates, description of route, emigrant information, and a condensed timetable.